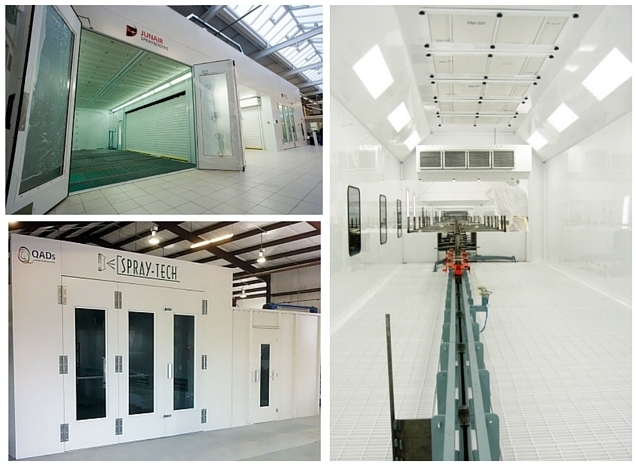 Spray Tech / Junair has been producing quality automotive refinishing and industrial finishing equipment for more than 21 years. From paint booth ovens to air make up systems, dust collection equipment to environmental products and accessories, we have done it all. We are proud to lead by example. We are considered as the paint booth and finishing systems expert manufacturer for the automotive, truck, industrial, and aerospace industries. We are proud to be made in the USA. The following are highlights of some of the milestones we have achieved over the years. Spray Tech / Junair’s milestones over the years. ‘Spray Enclosure Technologies’ was founded. ‘Junair Americas’ – A subsidiary of ‘Spray Enclosure Technologies Inc.’ was founded . Junair Americas was a contract manufacturer of all Junair products in North America. ‘Spray Enclosure Technologies Inc.’ bought all patents, trademarks and intellectual property for the production of Junair products in North America. ‘Mercury Air Inc.’ merged into ‘Spray Enclosure Technologies Inc.’. Sherwin Williams Meeting Went Awesome!